Southeast Asia has been one of the most famous destinations for many backpackers and holidaymakers coming from Europe or the Northern Americas. Among the more famous tourist routes include Thailand, Cambodia, Vietnam, and Malaysia. Tourists would usually go straight to Bangkok or fly to Singapore. Some would include Indonesia to visit Bali. With tourist arrivals are high on these countries, the Philippines is still trailing behind. Well maybe, I guess, is due to the fact that the countries I’ve stated all border each other, except most of Indonesia. This makes backpacking easier as tourists can simply take a bus or take hours long of train rides to reach the neighboring country. This is compared to the Philippines wherein the main means to reach is by air travel. With a more challenging means to reach the Philippines, many simply skip the country. Many probably do not know much about the Philippines except maybe that it’s a group of islands and maybe because of the thousands of shoes of Imelda Marcos, plus the other political problems we had in the past. And so, what do tourists are probably missing as they skip the Philippines in their itineraries? Posted in Asia, Banaue, Bohol, Manila, Palawan, Philippines, Tagaytay. Tagged must see places, Philippine destination, top destination, what to see, where to go. I had a rare opportunity of entering a city that was once limited for people of royal blood, known to be the Forbidden City. On August of 2005, along with a colleague, we flew to the capital city of the sleeping dragon, Beijing, China. With a business trip to the industrial port city of Xiamen, we have decided to take this once in a lifetime opportunity to visit Beijing. This is one of the best side trips that I’ve took though it lasted only 2 days. With the help Travellerspoint, we were able to find a cheap hotel located in one of Beijing’s hutong areas called the Jingshan Hotel. And from our hotel in Xiamen, Sofitel, we were able to purchase our round trip plane tickets to Beijing and back to Xiamen to catch our flight back to Manila. On my birthday, we fly to Beijing early in the morning and was picked up by our hotel. The hotel is situated near the Jingshan Park and arrived there before noon. To save our stay in Beijing, we decided to take a walk as soon as we’ve settled our things. Posted in Asia, Beijing, China, Historic Town, park, Travel. 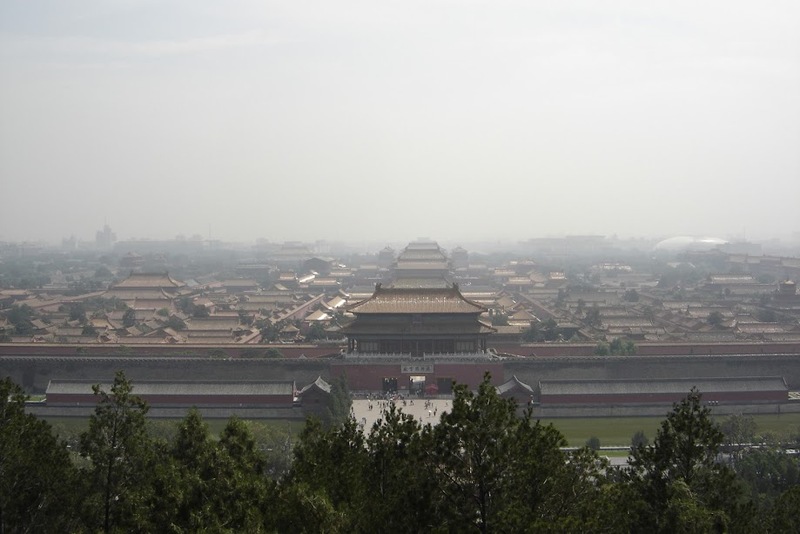 Tagged Forbidden City, historical site, Imperial China, Mao Zedong, pagoda, Palace, temples, Tiananmen Square, where to go. Why does San Francisco attracts people around the world? Is it because of its cable cars, its steep-sloped streets, its cold weather, the crooked road of Lobard Street, the rows of Victorian styled architecture, or the famous Golden Gate Bridge? Well I think all of the above. On the 9th of December, Sunday, we took a trip to see the Golden Gate and the rest of the city. From Milpitas, we took a drive through US 101 to see this world famous bridge. But before we go directly to the Golden Gate area, we first drove to St. Mary’s Cathedral on Gough Street to attend mass. Along the way to the cathedral, we saw blocks and blocks of Victorian houses. It looked wonderful and very picturesque, seeing whole communities that follow a specific architectural design. Makes me want to have one. The mass that we attended in St. Mary’s was the 11AM mass where the cathedral choir is performing. From the outside, the cathedral looked like a big white box. But when we saw inside, it was beautiful. It had a high ceiling where on its four sides run a line of tainted glass that meet up at the center of the high ceiling forming a cross. And on top of the altar hang this big chime-like chandelier that looked very beautiful. Posted in California, San Francisco, USA, vacation. Tagged BART, Bay Area, Bay Bridge, Embarcadero, Golden Gate Bridge, metro system, rail travel, San Francisco Bay, train travel, where to go. Philippines, How Much Have I Seen of You? My home country, the Philippines, is an archipelagic nation of 7,107 islands that is situated in the South East Asian region. It is a tropical country bounded by three bodies of water, the Pacific Ocean to the east, the West Philippine Sea to the west, and the Celebes Sea to the south. It is basically composed of three island groups: Luzon, Visayas, and Mindanao. The country’s population is pegged at 88 Million, 90% o which are Roman Catholics. A smaller percentage of the population is composed of Muslim Filipinos who generally reside at the southern islands. The Philippines also has a long history of Spanish colonization, 333 years in total. This is still evident with Hispanic architecture left. The Philippines was discovered by the Portuguese explorer, Ferdinand Megallan under the Spanish flag in 1521. Then it was also under the US Commonwealth rule for 40 years. The Philippines is also composed of a diverse group of people with hundreds of different dialects though English is a second language. And each of its 7000+ islands has a distinct characteristic on its own. And on this journal, I’ll be listing down the different places in this country of mine that I have visited and possibly my experience with Philippine culture. And I’ll be linking any blog that I’d be writing for each destination. Posted in Asia, Baguio, Batangas, Bohol, Boracay, Cebu, Corregidor, Mt. Pinatubo, pahiyas, Palawan, Philippines, Puerto Princesa, Quezon, Tagaytay, tourism, UNESCO. Tagged travel bucket list, where to go. Here I will be logging all the different places that I have been outside the Philippines. I’ll be linking my other travel blogs to the places I’ll list below. Through my work, I was sent by my company to Hanoi to provide technical support for our client situated in Thang Long Industrial Park just outside Hanoi. I was here for 4 whole weeks. I connected through Hong Kong to get to Hanoi. With some Filipino friends, we visited this UNESCO World Heritage site which is east of Hanoi. We took a cruise on a traditional Chinese junk. With my brother and his then girlfriend (now wife), we took a packaged tour to Singapore via Singapore Airlines. We were booked at Grand Central Hotel. Posted in Asia, China, Disneyland, Europe, Hong Kong, Indonesia, Macau, Malaysia, Netherlands, Singapore, USA, Vietnam. Tagged list of destination, travel bucket list, travel log, travel lust, where to go.